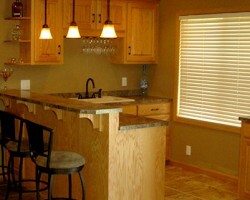 McNeil is a complete home design and renovation company that has been offering their services in Nebraska for years. 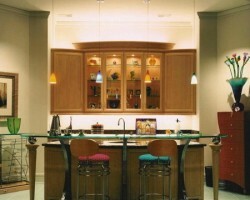 The extensive knowledge of home building means that this team is perfect for carrying out kitchen remodeling work too. They will work with you to design the space and then the highly qualified contractors will make the plan come to life quickly. Counting on this team to do the job well and work efficiently is one of their best features, according to reviews. Refreshing the look of your kitchen for you to enjoy or preparing the space to sell starts with hiring the services of Cornerstone Remodeling. This company listens to your ideas and needs before coming up with a plan for the project. They will only move forward with each aspect of the project after approval from you. 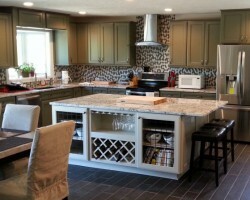 As an expert Omaha kitchen remodeler, this team will also work to find you the most affordable deals on materials to keep the overall price of the project low. As a kitchen remodelling contractor, Superior Home Improvement works collaboratively with their clients to achieve the best results. 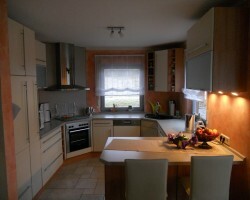 For relatively cheap prices, you can hire this professional team to completely revamp the look and the feel of your kitchen. The project will be run under the direction of the owners and master renovators, David and Susan Denson. They will ensure each aspect of the project is completed to the high standards that the company is now known for throughout the area. Any remodelling project can be a headache when you consider that area of your house will be out of commission throughout the project, you will be spending a lot of money and run into problems along way. Avoiding all of this is possible when you work with Hanigan Construction, LLC. This company works harder than any of the other local remodelling companies in the area to complete projects quickly and efficiently. Since 2013, this company has been taking away the stress of kitchen remodelling and proving stellar results in the process. Honey Do Handyman Crew does more than just fix shelves and replace fixtures, they offer complete kitchen remodelling in Omaha, NB too. With over 15 years of experience in the industry, you can trust the master handyman to tackle every aspect of the project with the utmost attention to detail and flawless workmanship. Kelly S. King is the owner and operator of this company. 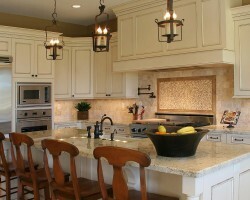 He uses his talents to aim for total customer satisfaction with every project and every client.